If you are receiving a lot of spam mail, then your name could be to blame. Research by Cambridge University has shown that spammers tend to target email addresses that start with the letters A, M or S. So Andrews, Mandy’s and Simons will on average receive more spam that Quentins and Karls. In the research, computer analysts examined a sample of over half a billion (500 million) junk mails. From the study group, for email addresses starting with A, M or S, 40% of all messages received was spam mail. A is not only simply the first letter of the alphabet, but spammers are well aware that many people use the “admin” email address for their domain. This makes guessing an email address very easy. The researchers stated that the main difference in number of junk mails received could be down to the way spammers generate e-mail addresses they want to target. Often spammers carry out simple “dictionary attacks” whereby they automatically generated emails for known domains by adding popular first names. So, how to secure your email address? If you are receiving a lot of spam mail, then the best advice unfortunately is to get a new email address. Although mail clients like Thunderbird have very good message filtering, they are still not perfect at removing the correct messages. The easiest way to reduce the chances of finding yourself on a spammers hit list is to use a two word email address, such as [email protected], or use initials and then surnames. Surnames are rarer than first names, so less likely to be targeted. If you do not require an email address for a specific domain, then Google’s web mail service, GMail, has excellent spam filtering. Is the credit crunch causing more spam? There is some evidence to suggest that the credit crunch is causing more spam. We have already reported in the increase in phishing attempts in recent months, however there appears to be an increase in general spam too. Virgin Media’s email servers have recently been inundated with spam, and many clients have been without their mail accounts for several days. 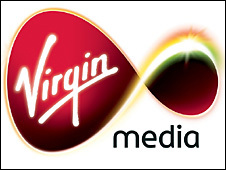 “Since late Tuesday evening, some customers on our Virgin Media DSL service may have been unable to access e-mail or webmail. This was due to a suspected spam attack suffered by our e-mail supplier which also affected a number of other ISPs. No customers on our cable service were affected. All customers are able to access e-mail again now, though due to a large queue of undelivered e-mail messages, there may be a short delay before some e-mails reach customers’ accounts.” Virgin Media spokesman, October 2008. If you receive a lot of spam as the result of your internet service providor, then certainly consider finding a more secure host. Alternatively, change your email address to something less likely to be guessed. Most importantly, if you receive a lot of spam, learn to recognise it, do not open it or any attachments, do not forward it on, and do not reply to it. Replying to spam mail is like waving a flag at the enemy to tell them where you are, and to confirm that you are still alive! Just delete the mails and move on!